EssentOne Accounting offers robust and extremely easy-to-use General Accounting, Accounts Receivables, Accounts Payable, and Timesheet processing tools. As part of the EssentOne Operations Management System, EssentOne Accounting fully-integrates with other powerful EssentOne modules to provide an end-to-end Operations Management System. Customizable Chart of Accounts with standard classifications including Asset, Bank, Equity, Revenue, COGS, Expense, Liability, and more. Millions of Accounts with custom numbering. Allows multiple Open Accounting Periods. Ability to re-open Closed Periods. Print Financial Statements - including Income Statements and Balance Sheets - for any Period. General Journal with the ability to make Journal entries. View entire Debit and Credit side of Transactions. 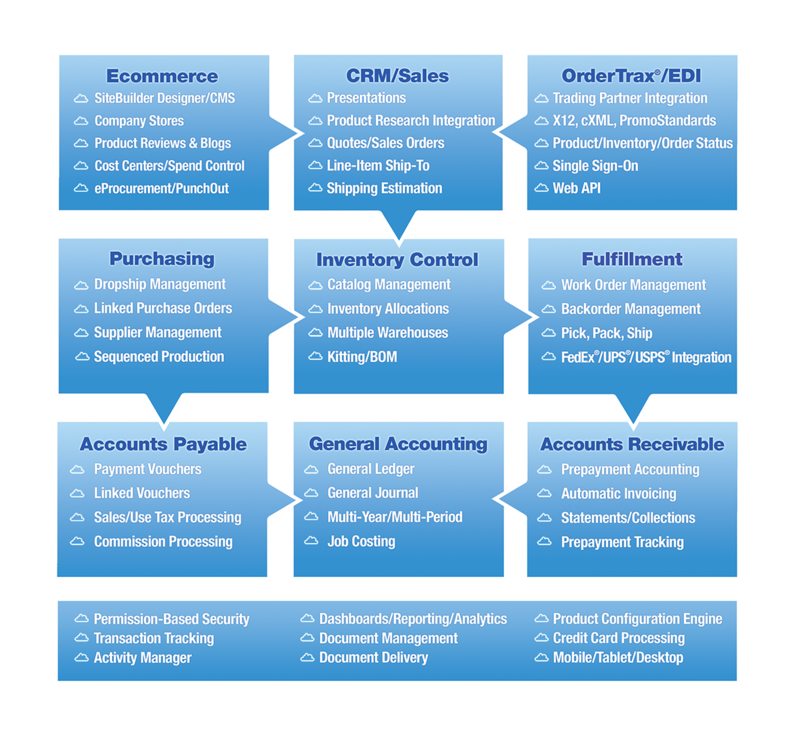 Track Profit Centers by Product & Service Subcategories. Define default General Ledger Accounts for Revenue, Inventory Assets, and COGS. Create unlimited Sales Tax Jurisdictions. EssentOne Accounting is modern. Unlike traditional accounting packages that simply focus on antiquated, batch processing of manually entered information, EssentOne Accounting is a thoroughly modern, a real-time accounting system designed with operations in mind. The software offers the best of both works: rigid double-entry account controls with flexible real-time accounting. With traditional accounting systems, data is entered in cumbersome batches that must be manually organized before they’re processed. Users are forced to perform formal closes before up-to-date information is available for reporting. Day-end and month-end closes are necessary and irreversible. Feature-rich tools make processing easier. Staff can perform more sophisticated activities with less formal accounting training.